Ammy Virk will play the role of fighter pilot..
Punjabi singer-actor Ammy Virk seems to soar new peaks with every passing day. Last year it was his Bollywood singing debut that earned him fame, just a couple of months back, him being a part of Kabir Khan’s ‘83’ made him the talk of the town and now he is hogging the limelight for being a part of Ajay Devgn’s ‘Bhuj – The Pride of India’. Ammy Virk will be seen playing the role of a fighter pilot, who will be a crucial part of the film that celebrates India’s triumph over Pakistan in the 1971 war. Talking further about the movie, ‘Bhuj – The Pride Of India’, is the tale of the bravery of 300 women of Madhapur, Gujrat who in 1971 played a significant part in India’s victory. 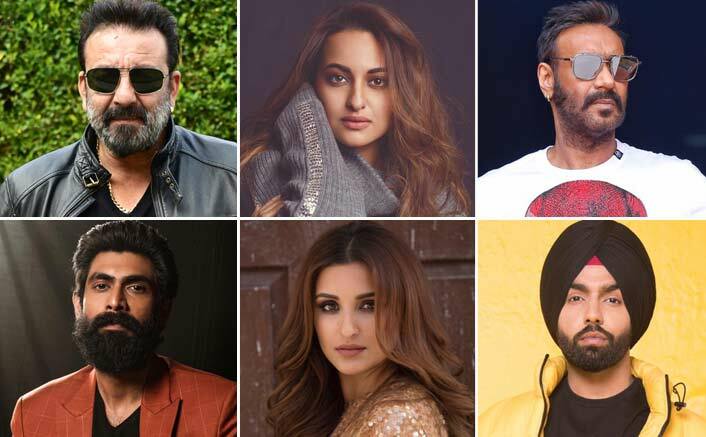 Along with Ammy Virk, the other stellar cast of the movie includes Ajay Devgn, Parineeti Chopra, Sanjay Dutt, Rana Daggubati and Sonakshi Sinha. The movie is being bankrolled by Bhushan Kumar, Kishan Kumar, Ginny Khanuja, Vajir Singh, Abhishek Dudhaiya and Kumar Mangat Pathak. Besides being one of the producers, Abhishek Dudhaiya also enjoys the credit for writing and direction.